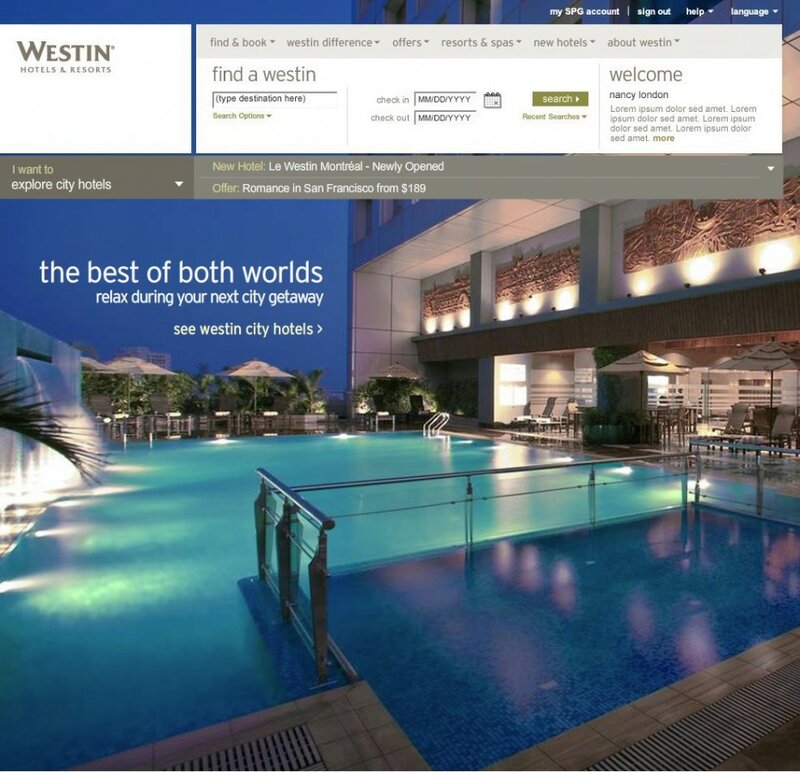 When you walk into any Westin Hotel the staff is able to customize and personalize your stay through their interaction with the guest and we extended this concept to the redesign of Westin.com. 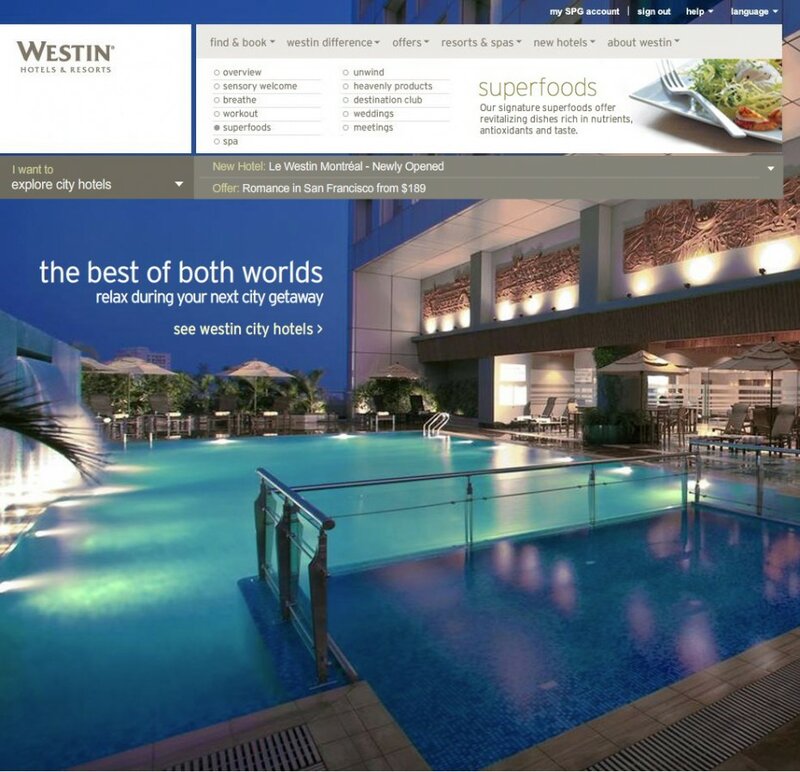 The personalize concept is brought to life through a number of options that customize everything from the home page image to the site offers and content so you experience on Westin.com is personalized to the type of experience you want to have at on your next stay. 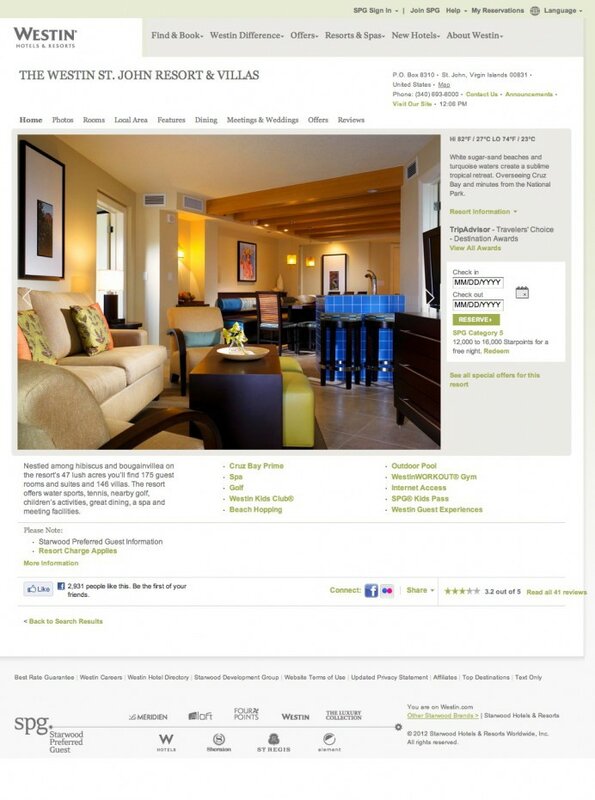 The visual design goes against traditional transactional site design concepts and was instead created to reinforce the simplicity found in the core brand position of ‘This is how it should feel’. 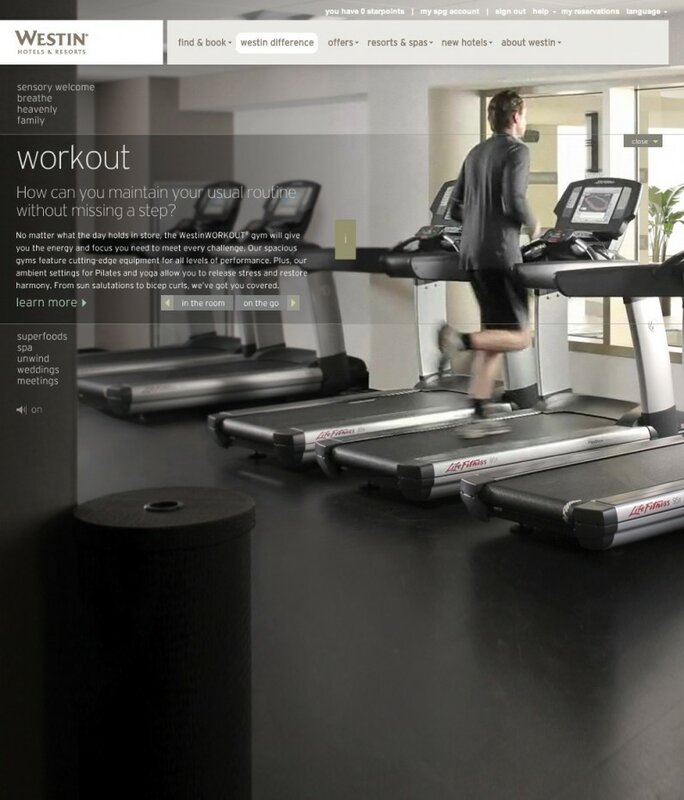 Navigation and functionality is condensed into a small but extremely functional bar at the top of the page leaving the rest of the real estate to an immersive full bleed property image. 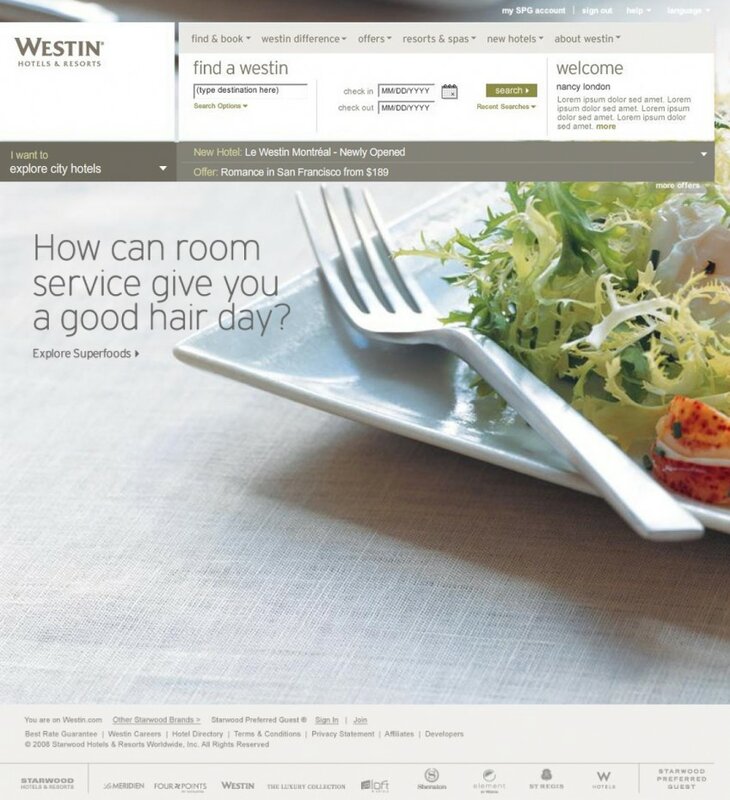 Site navigation goes beyond drop downs to include imagery and short descriptions that help build awareness of the brand offers and initiatives on every page of the site. 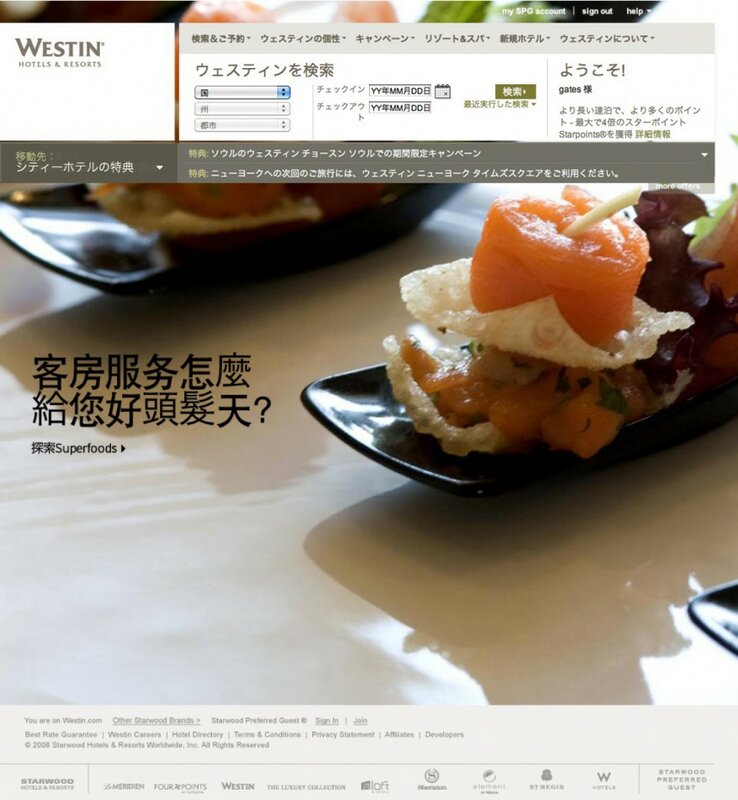 Booking conversion increased and the home page number to the most preferred of all the Starwood brands.